The 12-millionth visitor was Barb Sonsara from Livonia, Michigan. 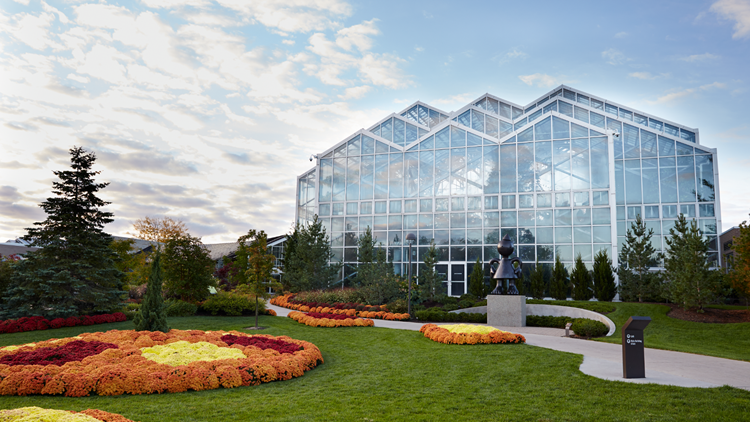 The Frederik Meijer Gardens is one of the world's most significant botanic and sculpture experiences, having recorded millions of visitors through the 24 years it's been open. How many million? Twelve million, as of April 17. Meijer Gardens welcomed their 12-millionth visitor -- Barb Sonsara of Livonia -- around noon on Wednesday. Officials say the garden has been recording attendance since opening the Richard & Helen DeVos Japanese Garden in 2015 and during this year's Fred and Dorothy Fitcher "Butterflies are Blooming" exhibition. Sonsara was visiting the Gardens with her sisters from Ann Arbor. For being the 12-millionth visitor, Sonsara received complimentary admission, a free membership, two tickets to a 2019 Summer Concerts at Meijer Gardens show of her choice, several books and a bottle of wine. Currently, Meijer Gardens is undergoing a $115-million expansion project called Welcoming the World: Honoring a Legacy of Love. Just last week, Meijer Gardens announced the 2019 summer concert series lineup -- which draws in hundreds and thousands of visitors each show.